An extraordinary insight into life under one of the world's most ruthless and secretive dictatorships - and the story of one woman's terrifying struggle to avoid capture/repatriation and guide her family to freedom. 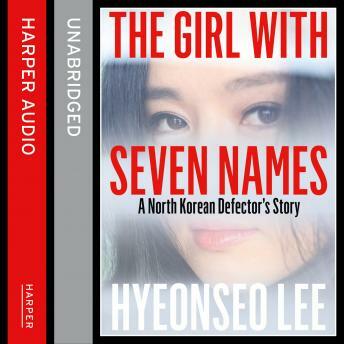 As a child growing up in North Korea, Hyeonseo Lee was one of millions trapped by a secretive and brutal communist regime. Her home on the border with China gave her some exposure to the world beyond the confines of the Hermit Kingdom and, as the famine of the 1990s struck, she began to wonder, question and to realise that she had been brainwashed her entire life. Given the repression, poverty and starvation she witnessed surely her country could not be, as she had been told "the best on the planet"? This book is enlightening, it allows an understanding and perspective I did not have before. Seeing through the eyes of the North Korean people, their hatred and fear of people outside their own country. I am now able to emphasize with them, their deliema and our roll to play. In addition the story has been told very well. Enjoyed the story. I was intrigued by the social, cultural, and political insights provided throughout the story. A relevant story for us to read so we continue to see the truth of the authors words in today's world. Wonderful, gripping and we'll told story! My spouse and I both loved this book. Inspiring story and interesting details about North Korea's way of life and an amazing young woman striving to save she and her family's lives... read it!